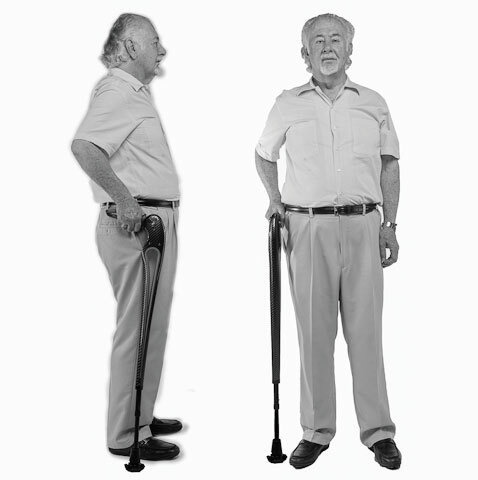 Designed to emulate the hip the Tucane® is an advanced walking aid that promotes correct posture eliminating back pain. When the user walks, Tucane® moves forward with your leg with the use of the springs located in the grip handle of the device. The Tucane® shoe tip will automatically adjust while the user walks, simulating the ankle's joint. 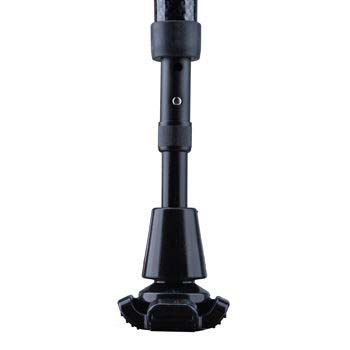 The tip is made of a special anti-slip rubber, and a patented design with shock absorbers designed to absorb impact and vibration with the ground. 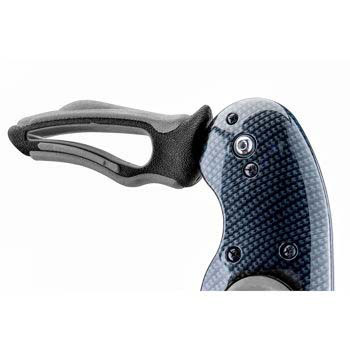 The soft-rubber handle and shock-absorbing design reduces the impact of the different anatomical structures of the hand, elbow, and shoulder, while preventing inflammation of the joints. The Tucane® is available in three sizes and can be adjusted to fit most users. Small: 4' 8" to 5' 2"
Large: 6' to 6' 7"
This is where the cane really differs from normal cane use. 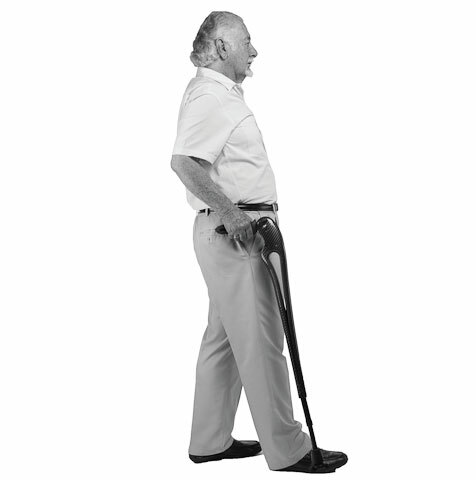 A normal cane is an extension of the arm and the user moves their whole arm back and forth while walking. 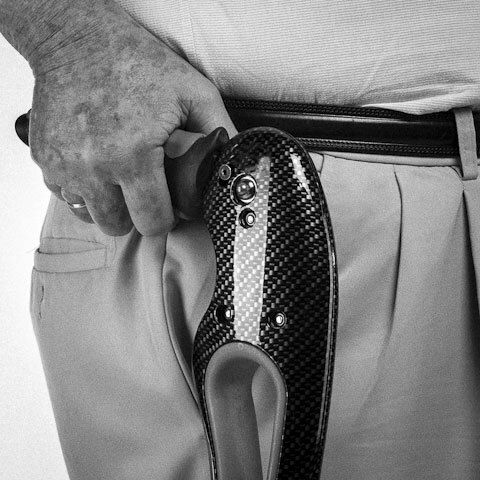 The Tucane® user keeps their hand (and the cane handle positioned at their hip and the leg of the cane moves back and forth. 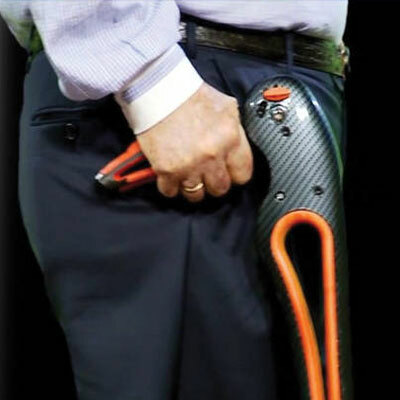 1) Please grab the handle a shown in the picture.It is important to understand that one of the main advantages of the Tucane® cane system is the fact that it promotes an adequate stand during gait or walking. Please stand straight with the shoulders at the same height. 2) The handle must be close to your hip, as shown on the picture. 3) With the Tucane® in the right position, please flex the index fingers as shown in the picture. Please do not press the other fingers or the hand over the handle. Do not pull or raise the Tucane®. Keep your arms in a 20 to 30 degree angle. 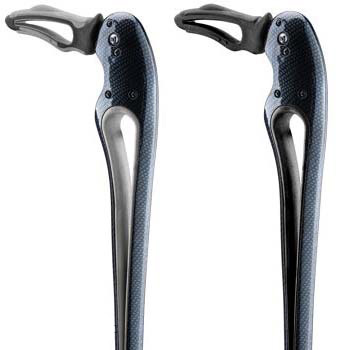 4) When the user starts walking, the leg that moves first should be the one in the same side of the body as the Tucane®. 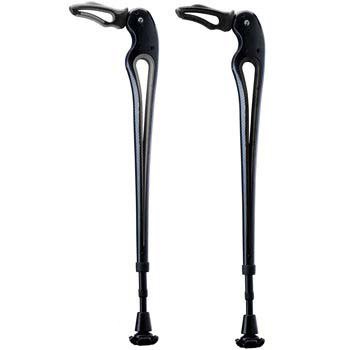 The cane has an automatic spring system on the handle that pushes the cane forward as the user walks, without much force. 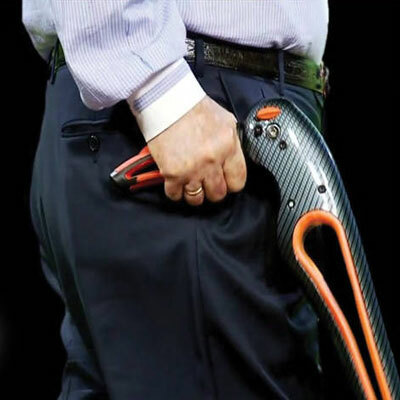 The cane will advance with the user's limb by just lifting it from the ground and releasing the pressure on the handle. 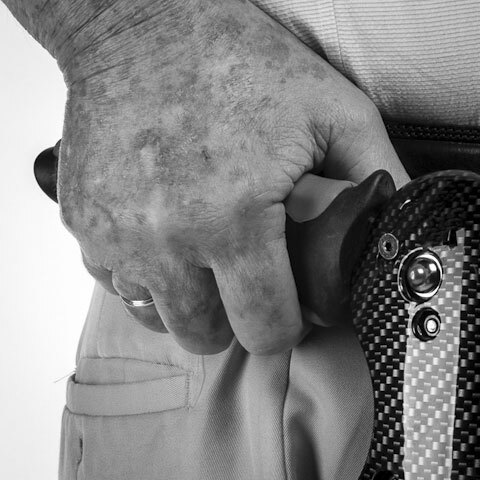 (Remember: the Tucane® should always be next to the hip.) Repeat the cycle and remember to stand straight while looking forward, not to the floor. Avoid sliding your feet over the ground while you move forward.